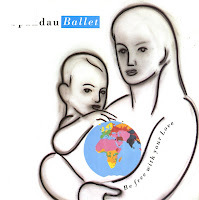 Spandau Ballet released the second single from their second album 'Diamond' in November 1981. 'Paint me down' managed to reach number 30 in the UK singles chart, which was their lowest chart placing up to that point. 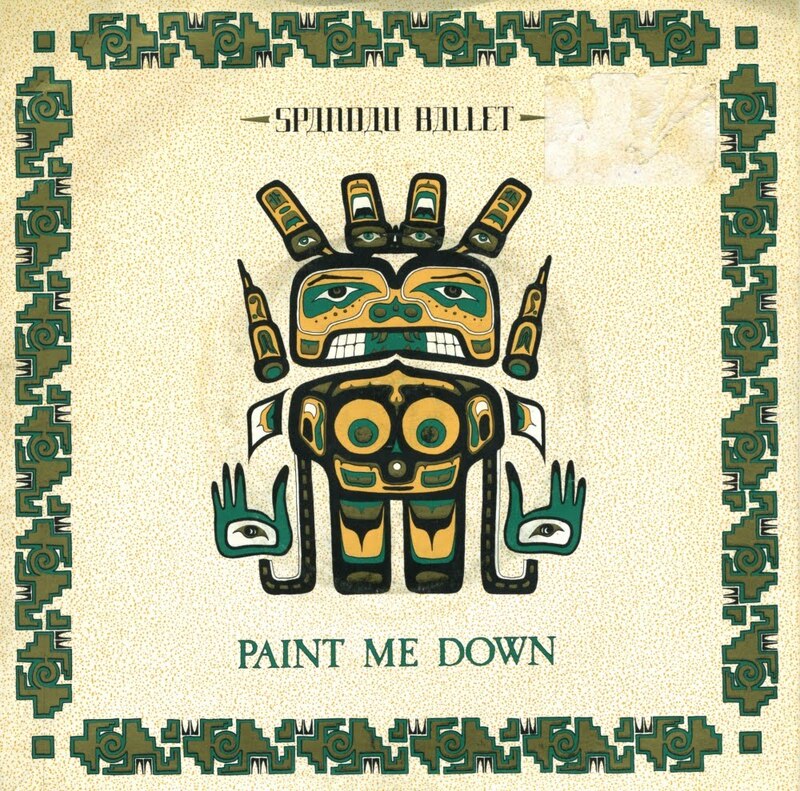 It has to be said that 'Paint me down' sounds a bit rough and sketchy, and is certainly not up to the standards of previous hits 'Muscle bound' and 'Chant no. 1'. Spandau Ballet debuted in 1980 with the single 'To cut a long story short'. 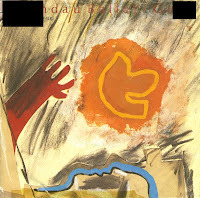 According to the blurb on the back of the sleeve of the Spanish pressing: ''To cut a long story short' es un tema de fuerte ritmo en el que destaca especialmente la voz de su solista y el trabajo de la guitarra y la percusión. 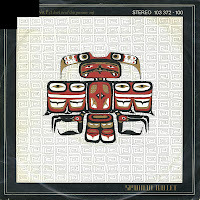 Pero es realmente toto el equipo de Spandau Ballet el que consigue que su nombre se haya catapultado hacia el estrellato en solamente unas cuantas semanas.' Which probably means the song is quite good. I bought both the UK and Spanish pressings in one go, mainly because the Spanish version had such an interesting sleeve. Since I bought quite a few singles, I got a discount, which basically means I got it for free. 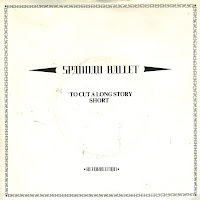 'To cut a long story short' reached number 5 in the UK singles chart and number 15 in Australia. The song reportedly inspired Vince Clarke while writing Depeche Mode's 'Just can't get enough'. 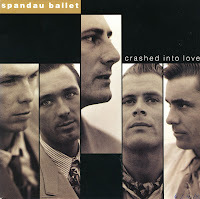 Spandau Ballet's career seemingly came to an end in 1990 with the release of 'Crashed into love', the fourth and final single from their 1989 album 'Heart like a sky'. 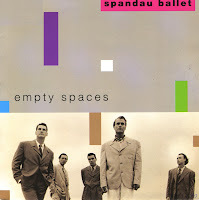 The previous single 'Empty spaces' had stalled at number 94 in the UK singles chart and this one did no better, as it only reached number 96. After this, Spandau Ballet, from whom Gary Kemp was already feeling estranged, split up. Tony Hadley, Steve Norman and John Keeble launched a failed court case against Gary Kemp for a share of his song-writing royalties. Although initially vowing to appeal the verdict, they later decided against this. They subsequently toured as a trio, but as they had to sell their shares in Spandau Ballet's company to Gary Kemp to pay off legal debts, and that company owned the rights to the name of Spandau Ballet, they had to tour under the moniker of 'Hadley, Norman and Keeble, ex-Spandau Ballet'. In 2009, the band surprisingly reformed completely. As the Eighties drew to a close, the career of Spandau Ballet was also seemingly coming to an end. The album 'Heart like a sky' did not meet the expectations commercially speaking, and the singles taken from the album also had little success in the charts. 'Empty spaces' was the third single from 'Heart like a sky', and stalled at number 94 in the UK singles chart. In other territories, the single did not chart at all. After a hiatus from recording during which Spandau Ballet band members Gary and Martin Kemp established themselves as credible actors in the gangster film 'The Krays', the band released 'Heart like a sky' in September 1989. Although the album was not the commercial success they'd hoped for, several singles were released, with varying degrees of success. 'Be free with your love' was one of the standout tracks from the album, and released as the second single from it. It reached number 42 in the UK singles chart and number 33 in the Dutch Top 40. 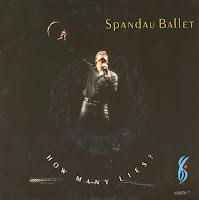 'How many lies' was released in early 1987 as the third and final single from Spandau Ballet's 1986 album 'Through the barricades'. The single featured a live version of 'Communication', recorded at the NEC in Birmingham on the B-side. The single reached number 34 in the UK singles chart and number 25 in the Dutch Top 40. While the band was traditionally also successful in Australia and Germany, 'How many lies' did not chart in these countries. 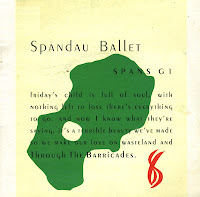 'Through the barricades' is the title track of Spandau Ballet's 1986 album. It was released as the second single from the album. The lyric of the song was inspired by love prevailing over the troubles in Northern Ireland. The single was released as a limited edition with a gatefold sleeve. The single reached number 6 in the UK singles chart and number 3 in the Dutch Top 40. 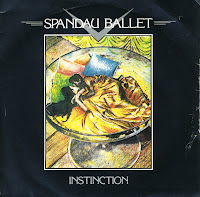 'Instinction' was taken from Spandau Ballet's 1982 album 'Diamond'. It was released as the fourth and last single from the album and it reached number 10 in the UK singles chart. In Australia, the single peaked at number 30. In other territories, the single did not chart. 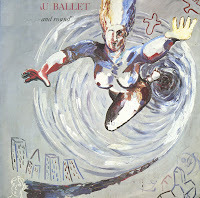 'Round and round' was the fourth and last single from Spandau Ballet's 1984 album 'Parade'. It was a hit in the UK, but it performed less well in the chart than its three predecessors, stalling at number 18. In Europe, 'Round and round' performed even worse, failing to chart in most countries. 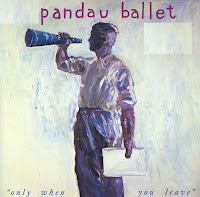 'Only when you leave' was the first single from Spandau Ballet's fourth album 'Parade'. The previous album, 'True', had brought the band a lot of success, and so the new album explored the territory of smooth and commercial pop songs a little further, without taking too many chances. The strategy paid off: without much trouble the single reached its peak position of number 3 in the UK singles chart and number 2 in the Dutch Top 40. It was all downhill from there. 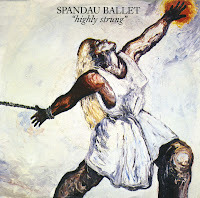 'Highly strung' was released in the autumn of 1984 as the third single from Spandau Ballet's fourth album 'Parade'. While the first two singles from the album were top 10 hits in the UK, this single only managed to peak at number 15. In the Dutch Top 40, it fared even less well, stalling at number 32. Back in 1983, Spandau Ballet and Duran Duran were the two biggest bands around. While Duran Duran's biggest peak would be 1984's 'The reflex', Spandau delivered their two flagship songs in 1983. After the very successful 'True', taken from their third album of the same name, 'Gold' was another big hit, peaking at number 2 in the UK singles chart and the Dutch Top 40, while also reaching number 29 in the US Billboard Hot 100 chart. 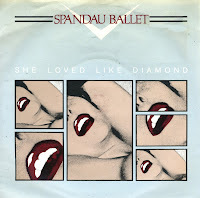 'She loved like diamond' sounds a bit like a rough demo, and so it is quite a surprise to find that it is actually Spandau Ballet's sixth single, the third single taken from their second album 'Diamond'. Earlier singles like 'Muscle bound' and 'Chant no. 1' sound a lot more sophisticated than this track. Perhaps this is also why it was less successful chart-wise: 'She loved like diamond' only reached number 49 in the UK singles chart, the lowest chart placing for any Spandau Ballet single up until then. 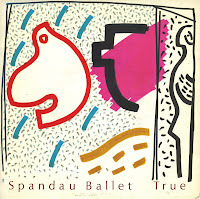 The song 'True' was a definite change of style for the band Spandau Ballet. It was a slow pop-ballad, paying tribute to Marvin Gaye and the sound he helped to establish. It was released a year before Gaye was murdered in 1984. The single became Spandau Ballet's biggest and most remembered song, reaching number 4 in the US Billboard Hot 100 chart and the Dutch Top 40 and number 1 in the UK singles chart. In the UK, the single was released in a special gatefold sleeve. 'Chant no. 1 (I don't need this pressure on)' was the first single taken from Spandau Ballet's second album 'Diamond'. Released in the summer of 1981, it became the band's biggest hit up to that point, peaking at number 3 in the UK singles chart and number 30 in Australia. Spandau Ballet was still profiting from the New Romantics scene in 1981, but their fortunes were quickly changing. Subsequent singles fared less well, and for their third album 'True', a change of style was much needed. Spandau Ballet formed in 1976 as 'The Cut' and subsequently named themselves 'The Makers'. When they changed their name again to Spandau Ballet and performed in clubs in London, they created quite a buzz. The band was involved in a major bidding war, but eventually signed to Chrysalis Records and released their debut album 'Journeys to glory' in 1981. 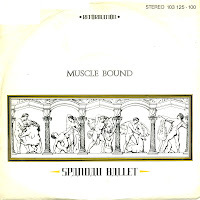 'Muscle bound' was the third single lifted from the album, reaching number 10 in the UK singles chart in April 1981. It doesn't happen often that I find an unknown single from a famous band, but here it is. 'Cross the line' was apparently released by Spandau Ballet as a single from their 1986 album 'Through the barricades'. The B-side was a live track taken from the video 'Through the barricades... across the border'. The single did not chart in any territory and I didn't know about this release until I found this single last week. 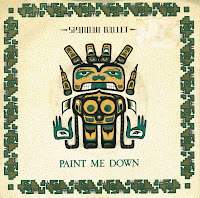 I think Spandau Ballet fans will not be surprised at this single, but I was. 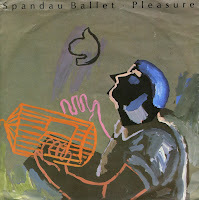 'Pleasure' was released as the fifth and last single from Spandau Ballet's 1983 album 'True'. After the massive hits 'True' and 'Gold', this single was a commercial disappointment, failing to reach the chart almost everywhere. The single did chart in Germany, where it reached number 61. It was the lowest chart placing for any Spandau Ballet single in that country. After a break from recording, during which the Kemp brothers Gary and Martin established themselves as credible actors in the gangster film 'The Krays', Spandau Ballet released the album 'Heart Like a Sky' in 1989. 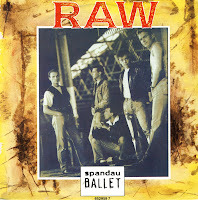 'Raw' was released as the first single in September 1988. It reached number 47 in the UK singles chart and number 27 in the Dutch Top 40, but in other territories the single flopped. Meanwhile, internal conflicts caused the band to split up in early 1990. 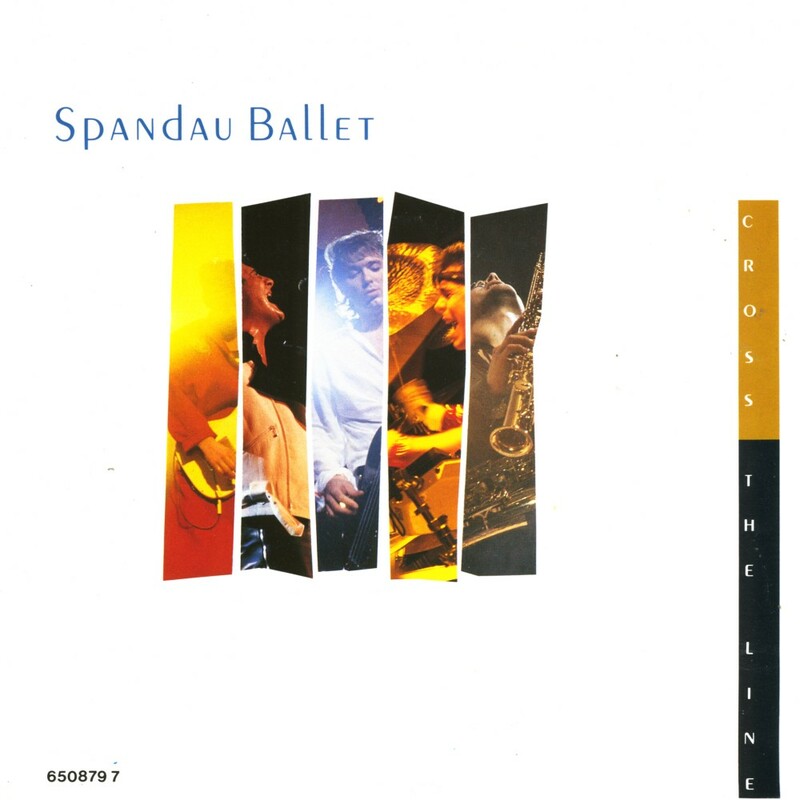 In 1986, Spandau Ballet signed to CBS Records and released their fifth studio album 'Through the Barricades'. On the album, the band tried to move away from the pop and soul influences of their two previous albums 'True' and 'Parade' and moved towards rock. 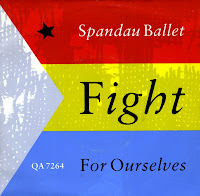 The lead single 'Fight for ourselves', was released in July 1986 in a limited edition including a posterbag. The single reached number 15 in the UK singles chart and number 16 in the Netherlands.